What Is An Automatic Merit Scholarship? What is an automatic merit scholarship? An automatic merit scholarship is one that a college provides “automatically” based on the student meeting specific criteria. The student doesn’t need to compete to receive a scholarship. Many colleges offer automatic merit scholarships as a form of tuition discounting to attract top students. Most automatic merit scholarships are based on a combination of the student’s ACT score or SAT score and GPA. 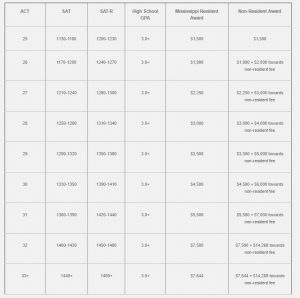 Many colleges use a grid to determine automatic merit scholarships. These often range up to full-tuition scholarships or better. 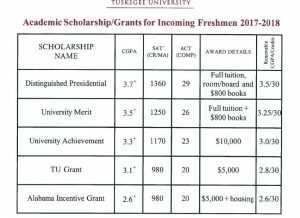 These are just three examples of the many colleges that use grids to award automatic merit scholarships. There are also many other colleges that don’t use grids, but do offer automatic merit scholarships. You will find that colleges vary a lot as far as the requirements for receiving automatic merit scholarships and the amounts that they offer. You could spend time looking up different college’s websites and looking around on those websites to see if they offer automatic merit scholarships. I’ve done that. It takes a tremendous amount of time! Instead, I have two options available to you that I have created so that you can save time and find what you need. Full Scholarship List – If you are looking for full-tuition and full-ride merit scholarships, you will want to check out my Full Scholarship List with over 1,225 merit scholarships that are specifically offered as full-ride or full-tuition scholarships or scholarships listed as “Up to Full Ride” or “Up to Full Tuition”. If you are only interested in “Automatic” scholarships, you can filter this list to only show the automatic scholarships. On the current version of the list, if I filter for Automatic scholarships (note: this will not include National Merit Finalist/Semi-Finalist automatic ones because I have a separate category for those), there are 139 scholarships listed. meritscholarshiplist.com – This is a subscription website where you can search for all merit scholarships offered by colleges around the country. To find all automatic merit scholarships, you can search by Scholarship Type, choose “Automatic” and “All States”. This currently lists 3,194 scholarships ranging from a few hundred dollars up to full ride or more. You can filter these results down from there. 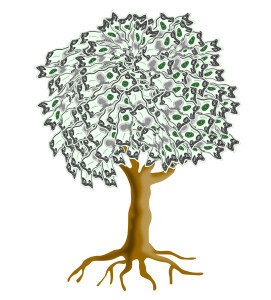 My favorite way to do that is by scholarship value. Automatic merit scholarships are a great way for families to save money on a college education. Keep in mind that not all colleges offer automatic merit scholarships, especially the most prestigious schools in the country. 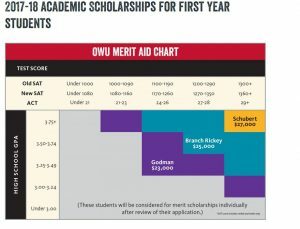 Also keep in mind that colleges vary greatly as far as the GPA value and ACT score or SAT score required to get a good automatic merit scholarship. If you are willing to keep an open mind and explore colleges you=ve never heard of before, this can be a great way to find full-tuition scholarships or more.